SANTA CLARA, Calif., July 12, 2016 – Intel Corporation today announced that Dr. Tsu-Jae King Liu has been elected to serve on Intel’s board of directors. Liu, 53, holds a distinguished professorship endowed by TSMC in the Department of Electrical Engineering and Computer Sciences (EECS), in the College of Engineering at the University of California, Berkeley where she also serves as associate dean for Academic Planning and Development. Liu’s previous administrative positions within the College of Engineering include associate dean for research and EECS department chair. 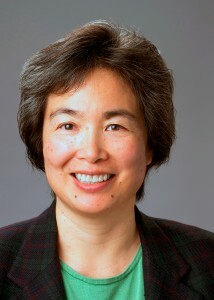 She has also held research and engineering positions at the Xerox Palo Alto Research Center and Synopsys Inc.
Liu holds over 90 patents and has received numerous awards for her research, including the Intel Outstanding Researcher in Nanotechnology Award (2012) and the SIA University Researcher Award (2014). Currently, her research is focused on nanometer-scale logic and memory devices, and advanced materials, process technology and devices for energy-efficient electronics. She received B.S., M.S. and Ph.D. degrees in electrical engineering from Stanford University in 1984, 1986 and 1994, respectively.